Very few people in Southern California have ever visited the Nixon Library, and most are very impressed after they've seen it. I know some probably think "A Library? It must be stuffy." 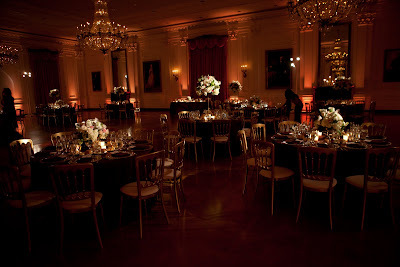 On the contrary, the Nixon Library is beautifully set up to accomodate really elegant events such as weddings. The center courtyard is the perfect place for a ceremony and the main ballroom, which can hold up to 400 guests, is a blank canvas in which to paint your dream wedding. Any creative bride or wedding vendor can appreciate its white walls, dark wood floors, and grand chandeliers. 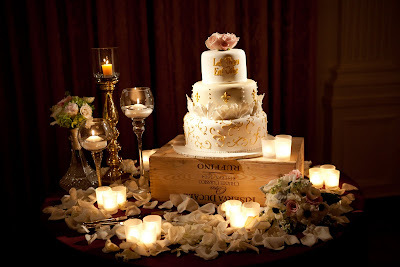 Events are exclusively catered by Jason's Catering and their food is artfully delicious. We have both attended events at the Nixon Library as guests and been hired to provide lighting and DJ services here. We've seen so many different themes and colors used, there truly is no limit to your options. Elevated Pulse especially enjoys working with couples on creating their unique lighting package. 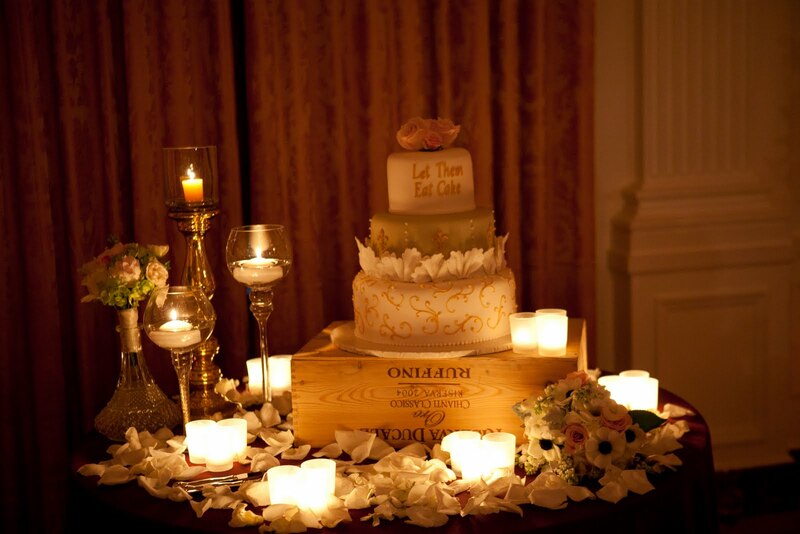 Because of the white walls, Up Lighting is an essential to any wedding. In addition, Pin spotting will make centerpieces, cakes, etc. really stand out and bring some color and personality to the room (as shown below). Take the time to watch the video of a recent wedding Elevated Pulse was hired to do. Thanks to their amazing videographer, Dan of Plug Wedding Films, for capturing the true beauty of this venue and all the fun the guests had!